Activity Arms Octopus Activity Toy is rated 4.5 out of 5 by 2. 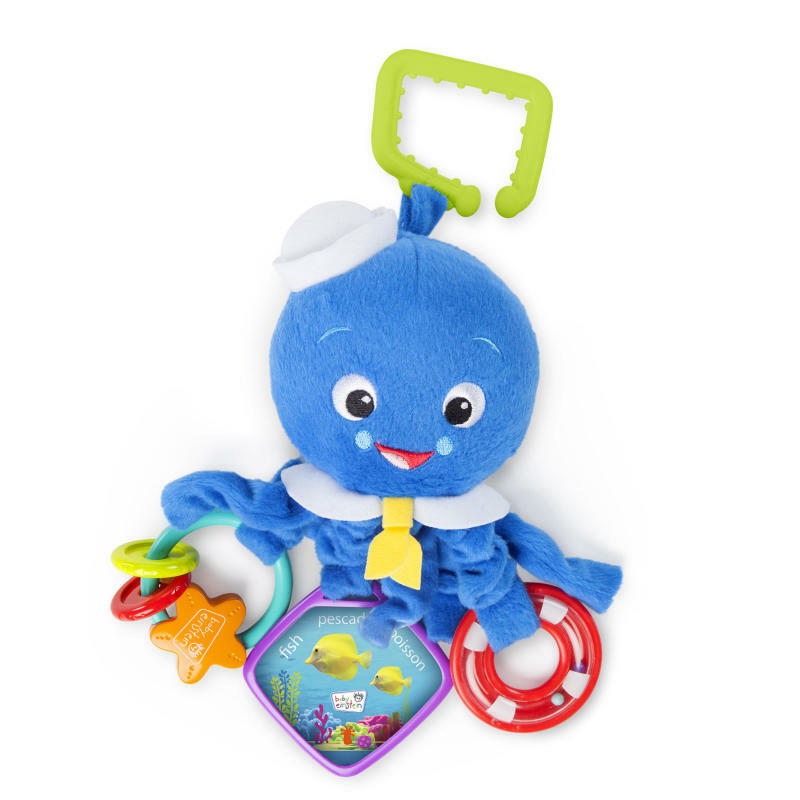 Enjoy multi-sensory discovery with the help of our friendly baby octopus from Baby Einstein. This huggably soft plush animal features an armful of activity for your baby. Each little leg holds a developmental toy that makes discovery an adventure. Your little one will explore their sense of sight with the baby-safe mirror, discover animals with cloth flash cards, delight their ears with rattle sounds, and so much more. Dimension (in) 4" x 2" x 7"
Rated 4 out of 5 by mel2012 from great toy. jus t watch for the paper coming off. its an awesome toy. we almost bought 2. the only diwnside was the paper came off from the back of the mirror. This was from my son sucking on it as babies do. I had to take the rest of the paper off and clean the surface of all the glue so he could safely play with it.